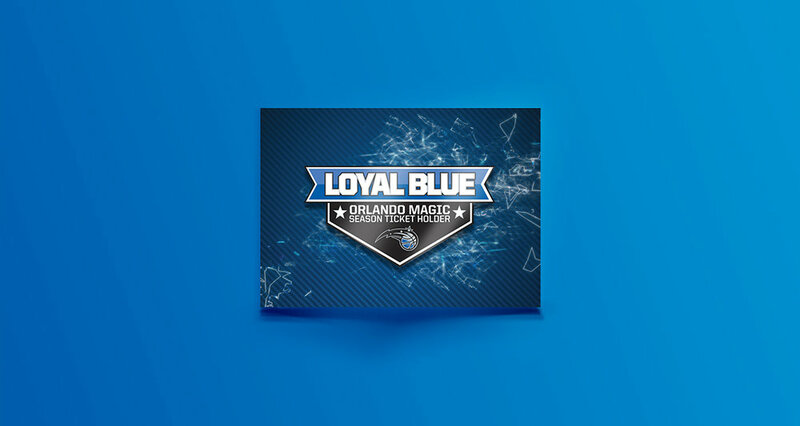 We collaborated with the Magic creative team to debut their newly rebranded season ticket program called Loyal Blue. A series of double gatefold brochures with spot glosses throughout revealed the program and built upon their explosive fractal season look. The brochures were delivered to ticket holders with a lanyard, and license plate, wrapped up inside a large Loyal Blue Flag.